Come visit our exhibits at the Racine Heritage Museum! 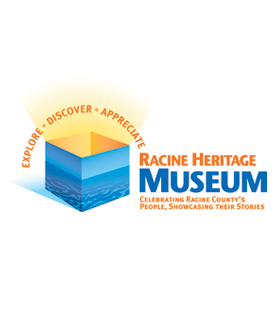 Racine Heritage Museum is dedicated to preserving the material culture and telling the special stories of the people of Racine County; their achievements, diversity, inventive genius, productivity, craftsmanship and entrepreneurial spirit. We invite you to join our over 30,000 annual visitors and take advantage or our engaging exhibit environment, extensive research resources, and quality educational opportunities.